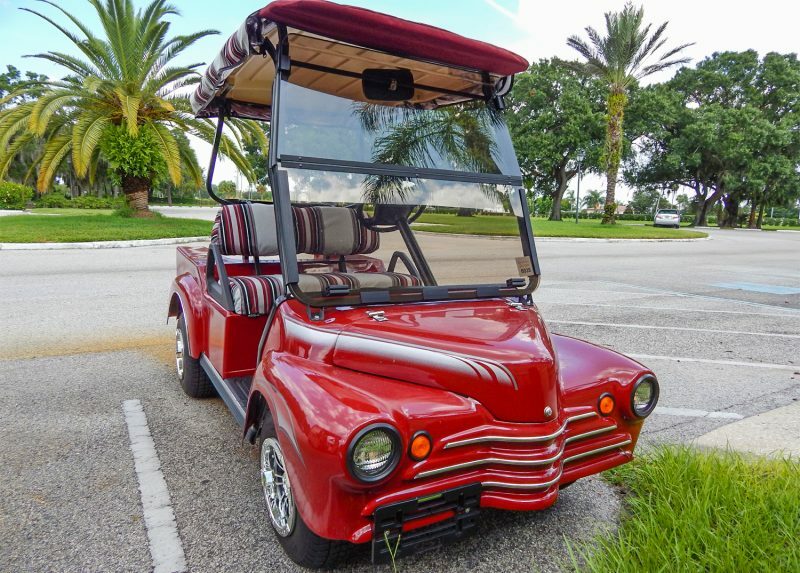 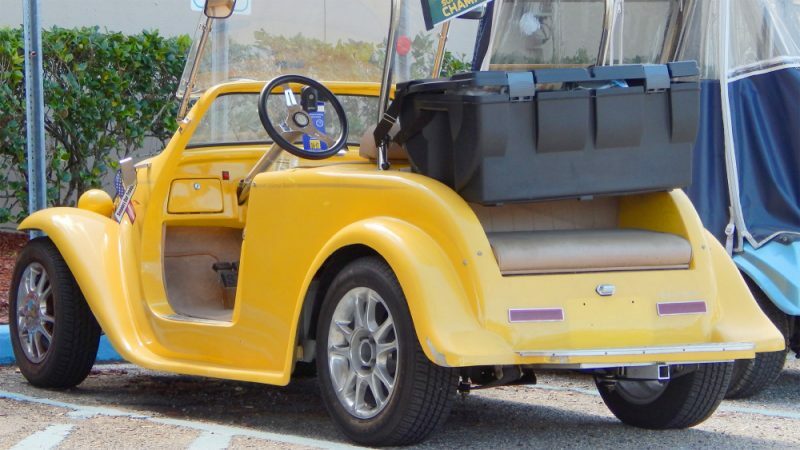 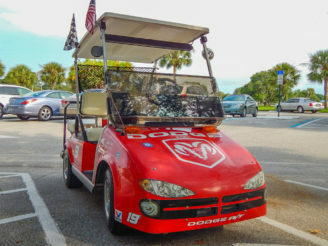 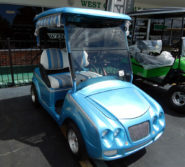 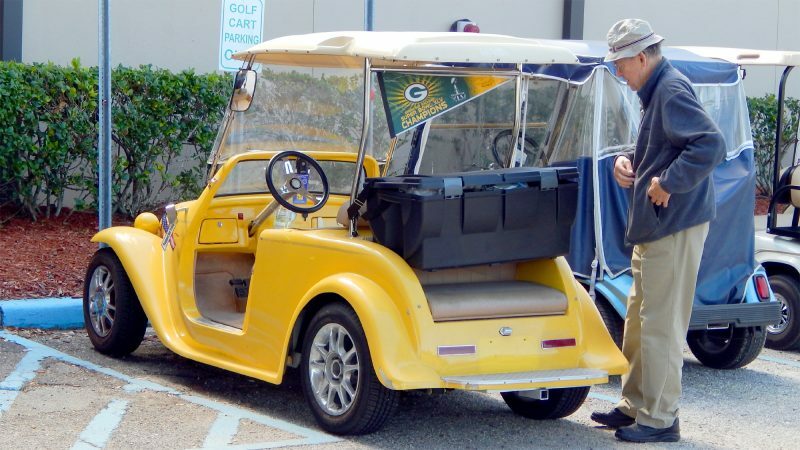 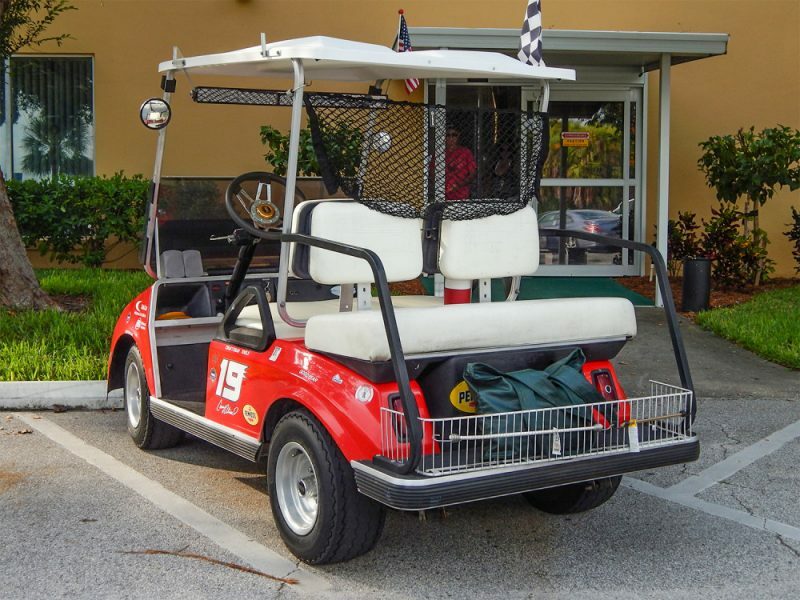 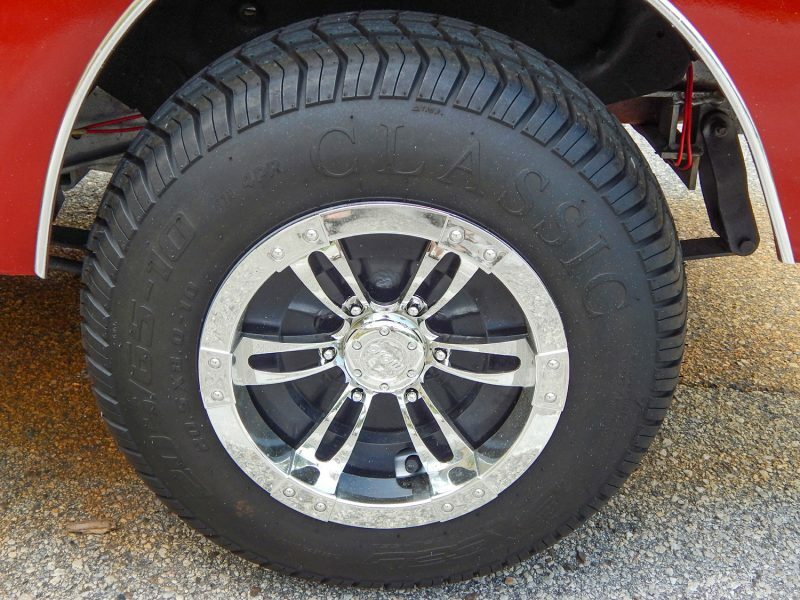 This customized 40s style truck golf cart with chrome MOJO wheels is fitted on a Club Car frame in Sun City Center, FL. 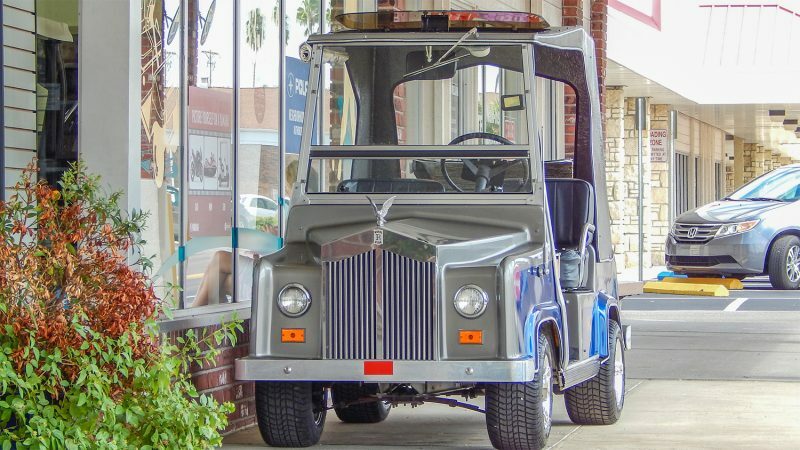 This Royal Ride (Rolls Royce) golf cart helped decorated the sidewalk in front of a local golf cart dealer in Sun City Center Plaza. 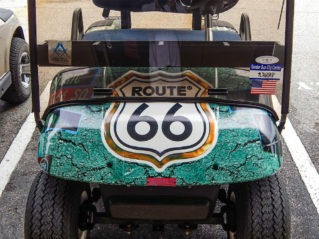 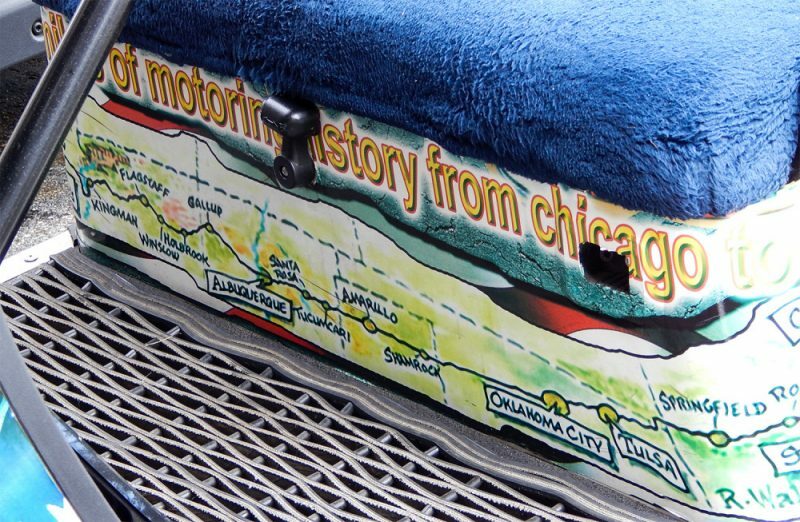 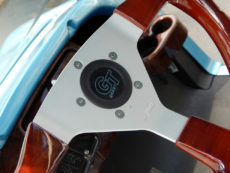 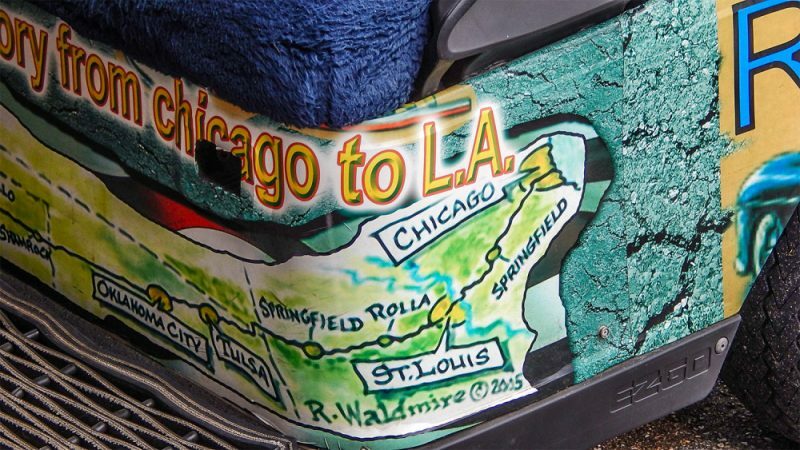 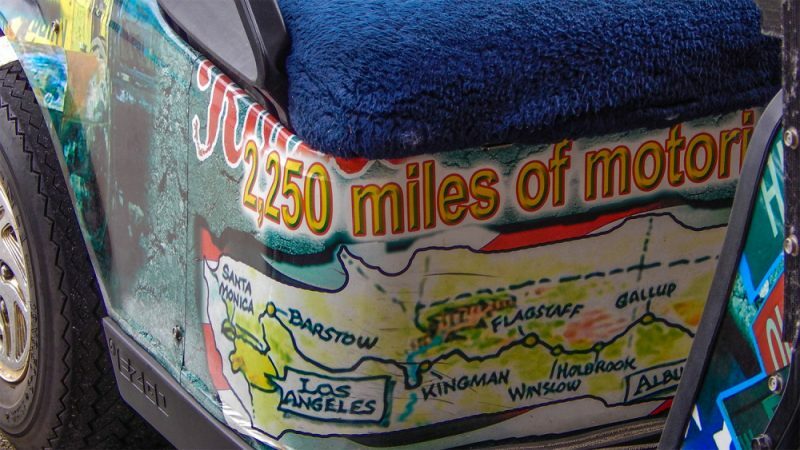 The Route 66 E-Z-GO golf cart represents the historic U.S. Route 66 Highway that ran from Santa Monica to Chicago that was road-ready on November 11, 1926. 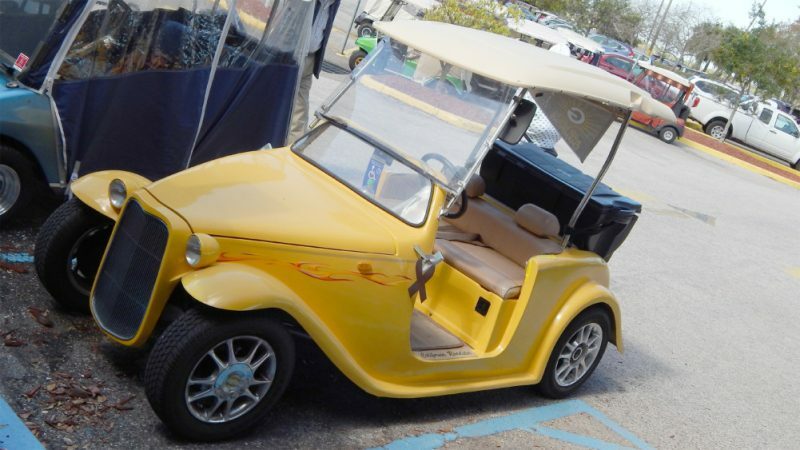 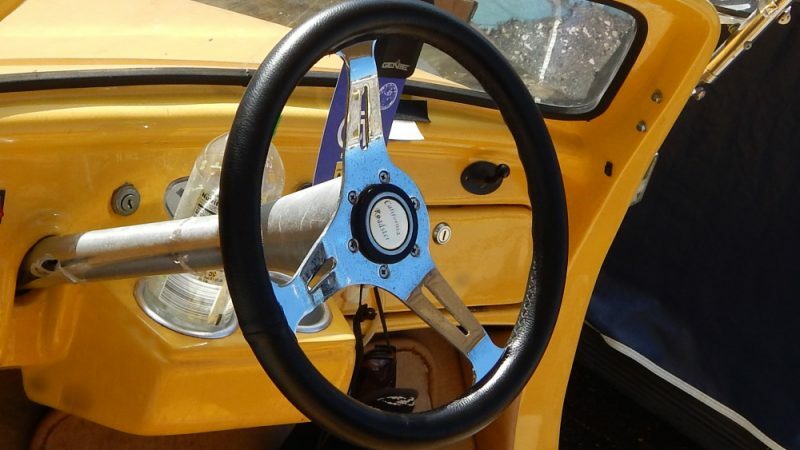 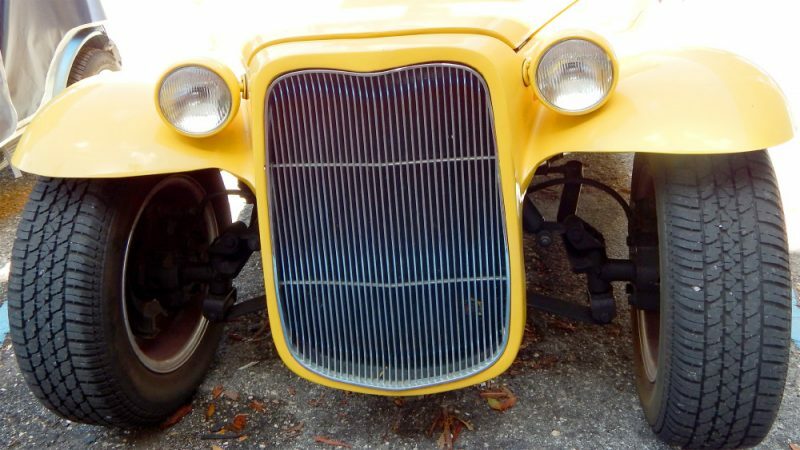 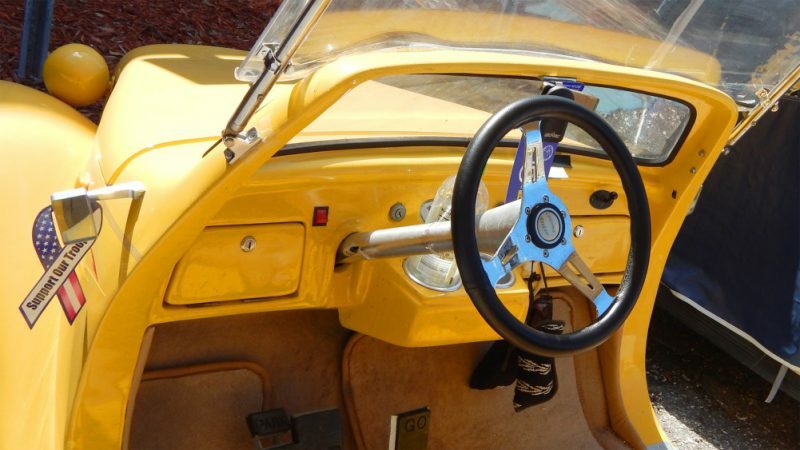 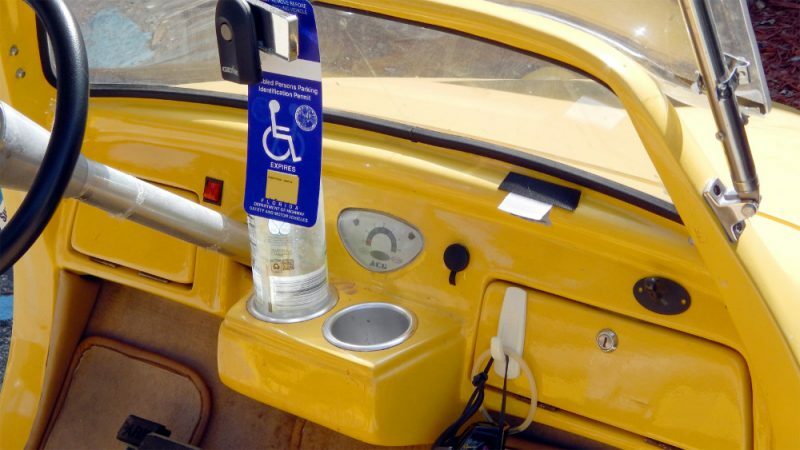 Ted and his wife drove their beautiful yellow California Roadster to this year’s Fun Fest in Sun City Center, FL. 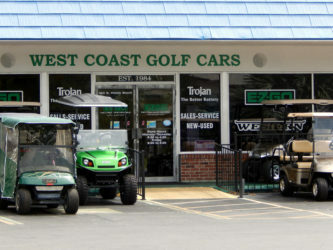 West Coast Golf Cars is an animal-friendly golf cart dealership that has been doing business in Sun City Center since 1984. 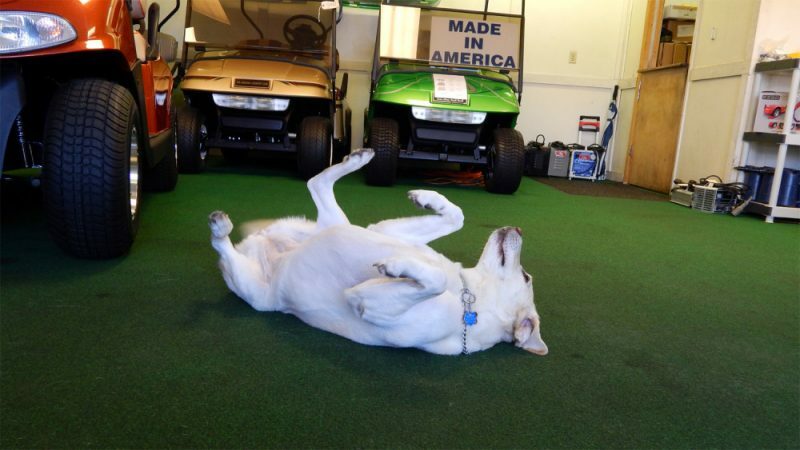 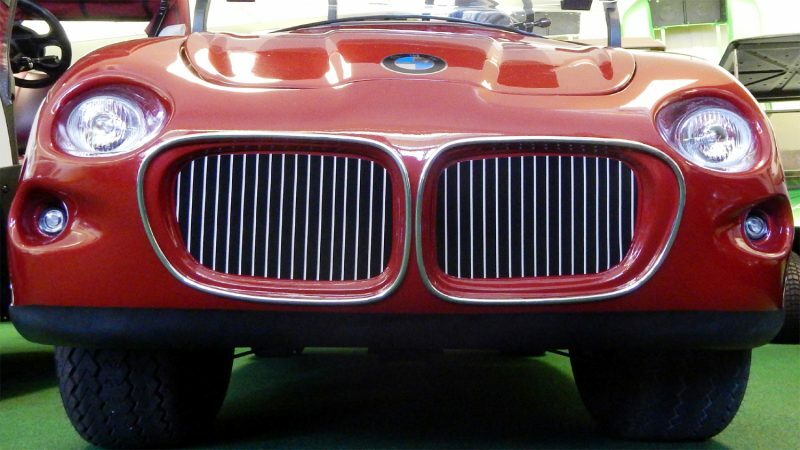 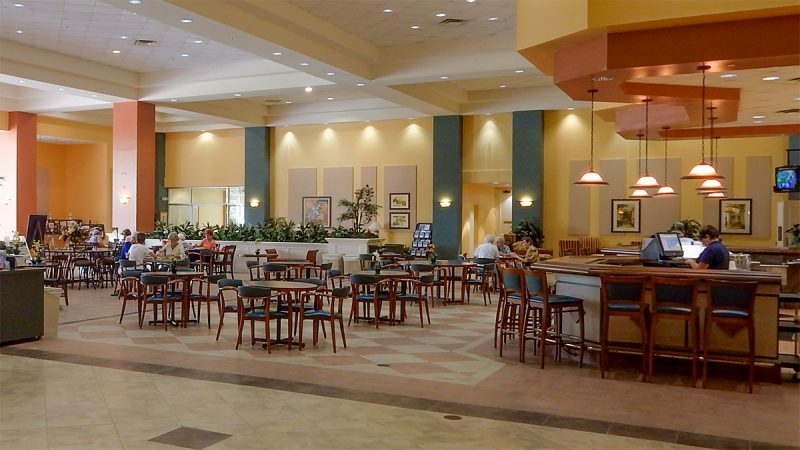 The friendly staff, the showroom, and of course Speed Bump the dog, will make you feel like you’re more at home than at dealership. 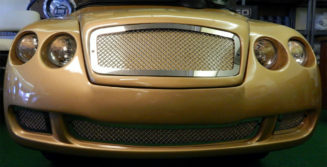 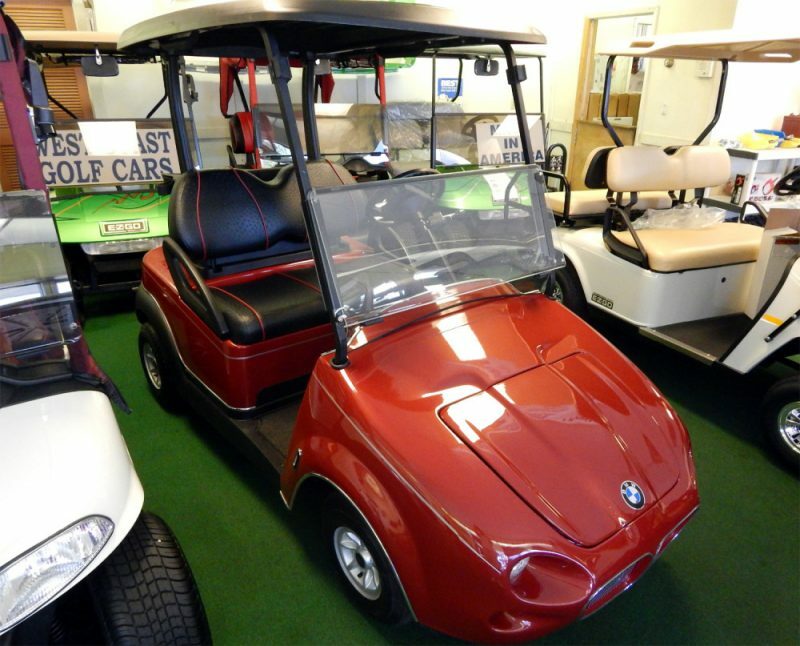 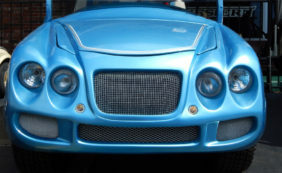 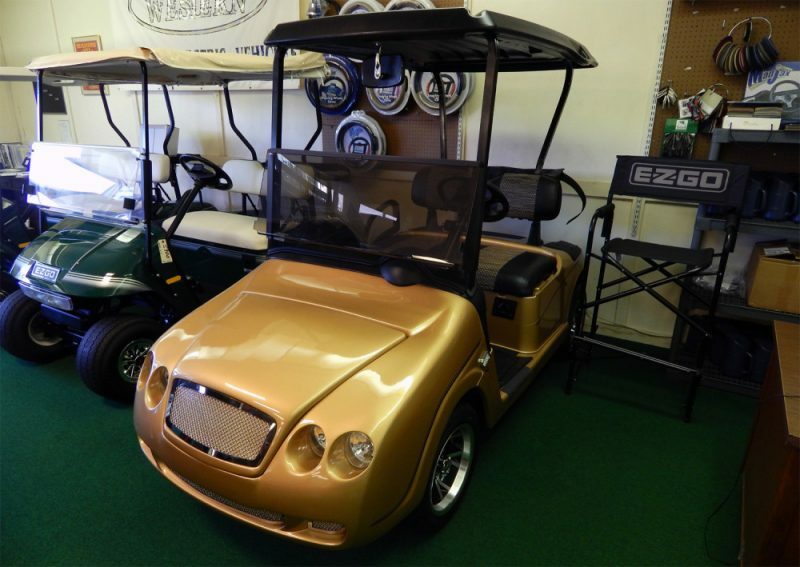 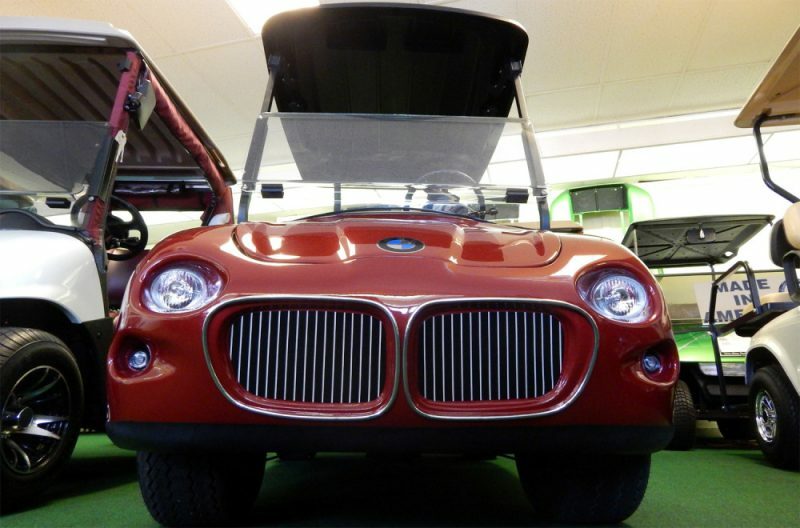 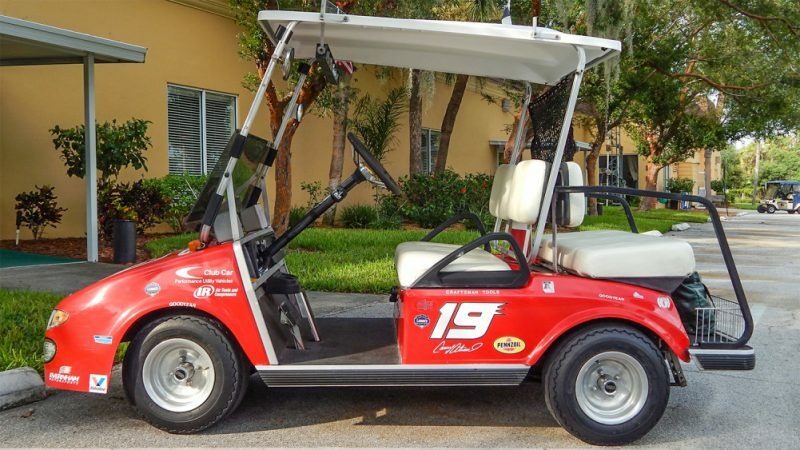 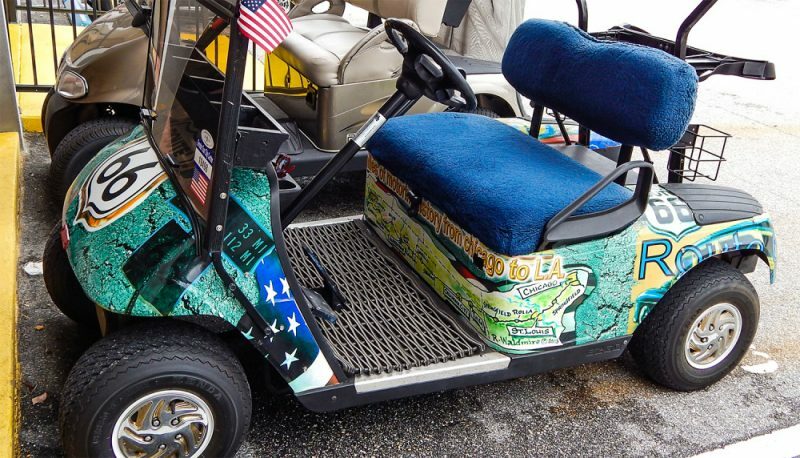 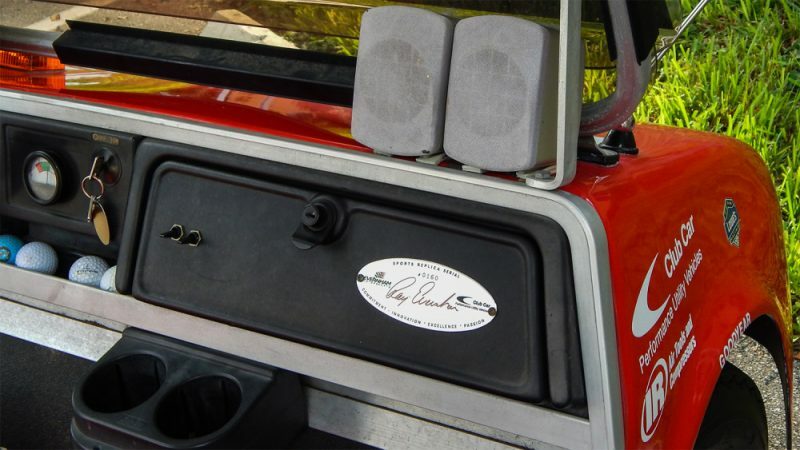 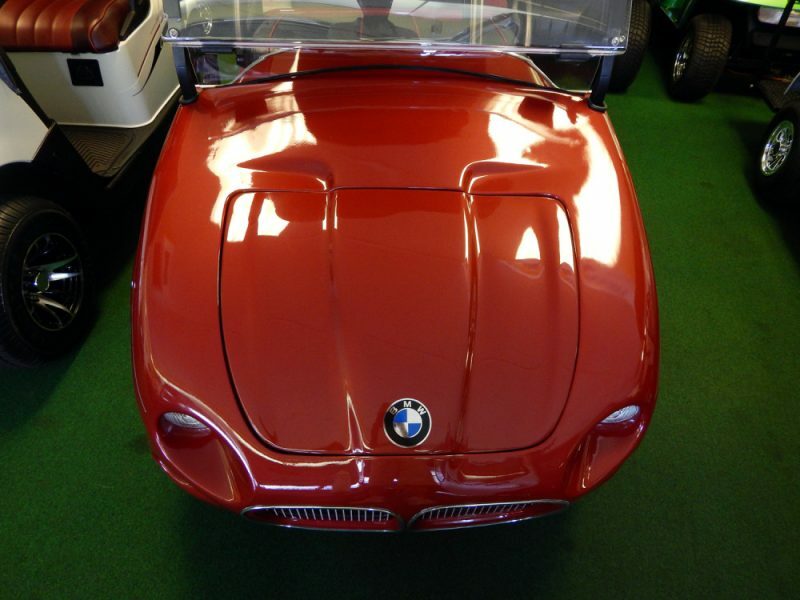 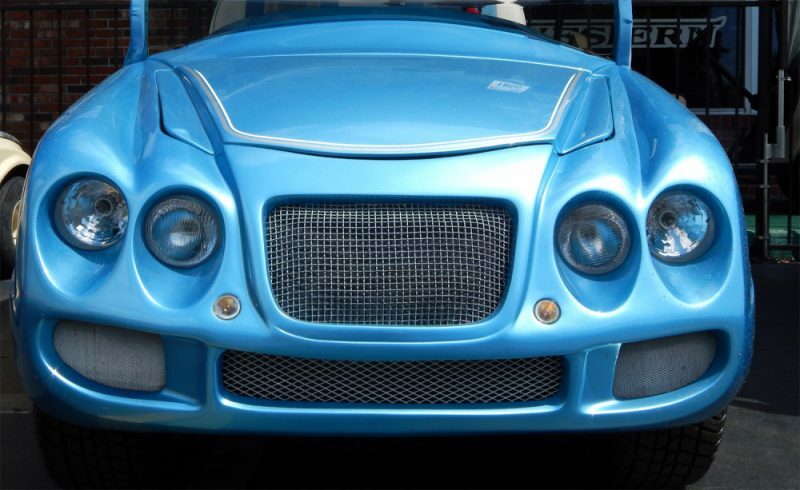 If you are looking for a customized golf cart, a Low Speed Vehicle (LSV) or a regular golf cart, stop by their shop for pricing.